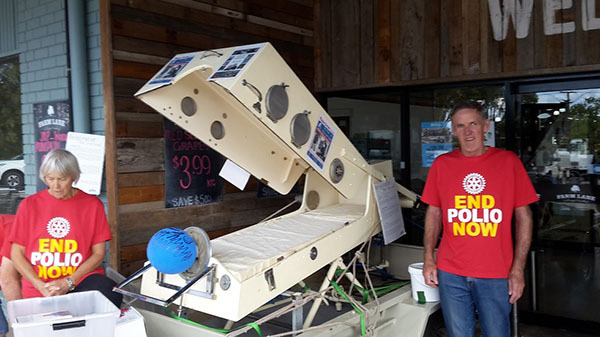 DG John Glassford was in Bathurst this weekend with the PARADE of local riders travelling from Oberon to Bathurst and displaying Maggie the iron lung. Magical Maggie is creating quiet a stir and we have only just begun. Filling up in Ganmain just now, yes we do have a service station, a lady pulled up behind me and just looked at Maggie for ages then got out of the car. Gwen Boughey from Ganmain started talking and you could see how excited Gwen was to see Maggie. We have to record and film her story somehow. 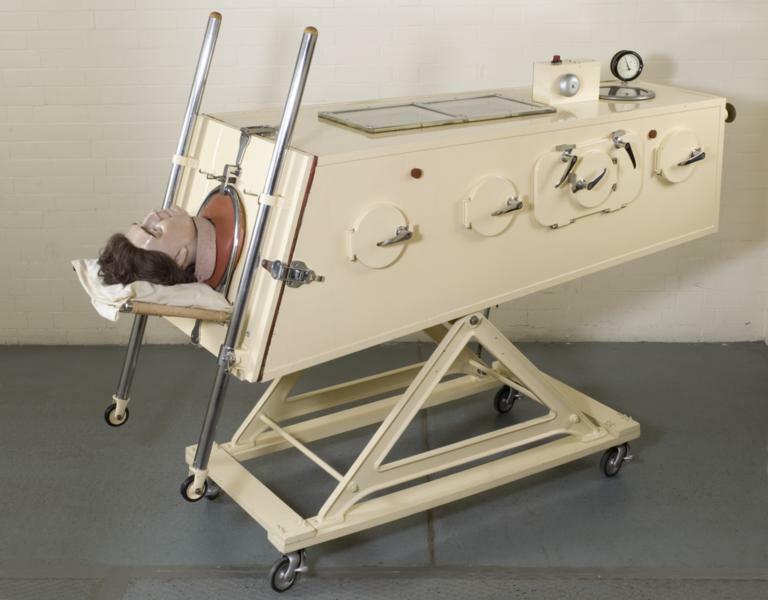 Gwen worked on these iron lungs in the infectious disease hospital in Melbourne for some time. Gwen knew every nut and bolt on Maggie and how she worked. Second story a lady from Junee Reefs, Jan Longmore, called me to say that she contracted polio at the age of 12 and still suffers with now post polio syndrome. Jan's sister contracted polio only 9 months old and her sister is now suffering badly with post polio syndrome. Jan is 80 and would be wonderful to get her story down as well. Jan wants to know if there are any people who can help her and her sister. These two stories are so unexpected. So Maggie's magic is working and tomorrow is a big test in Wagga. Thank you all for getting us to this stage of this journey. I have a bit to do right now but please call me anytime. I aim to be back in Griffith on Thursday next week March 14th to meet up with all and sundry as needed. I liked the last meeting of all the parties together. I have to be in Oberon on Saturday 16th and Bathurst 17th to meet up with Maggie again! The PARADE is going much better than I had hoped for. 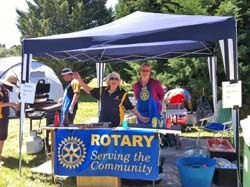 Leeton RC put on a BBQ for the people of Leeton. Thanks Leeton love your BBQ trailer. Bob then welcomed Maggie to Narrandera at the Tourist Information office, we met some dignitaries from Narrandera Shire Council. Two cyclists and Bob then followed Maggie into Narrandera where they and Maggie went up and down the main street. 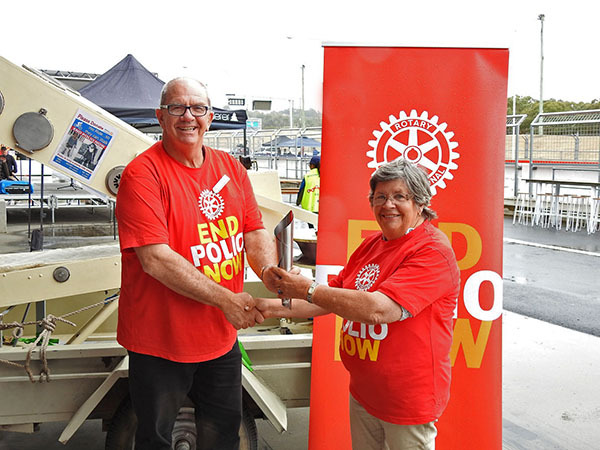 Some collections were made and Narrandera Rotary Club made a donation to the Polio Plus PARADE. Thank you all. 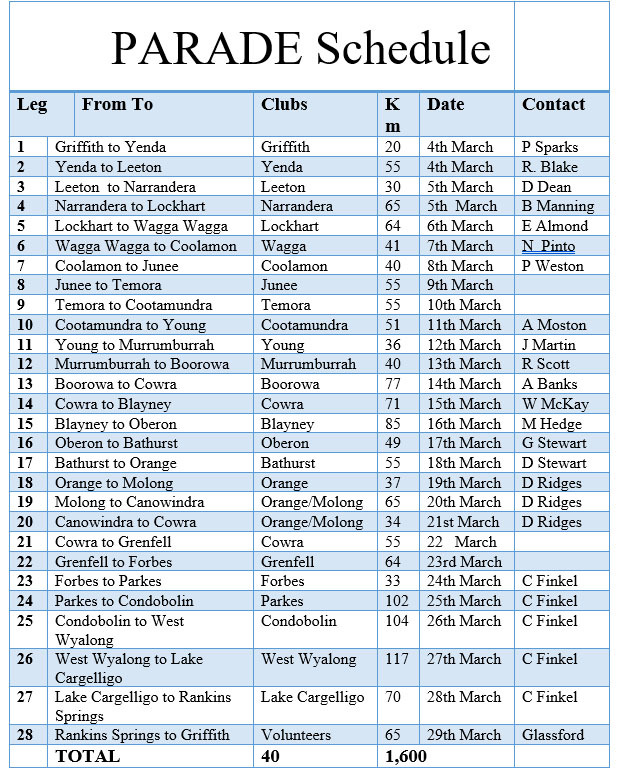 Now I hope to get some photos from Narrandera soon. 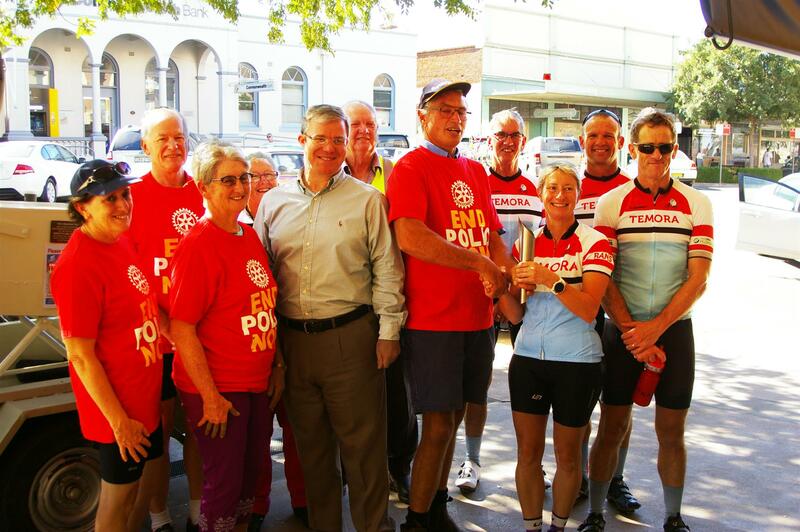 Had a call from a Rotarian in Cowra today saying that they are well organised with cyclists. Maggie is a super attraction and is the reason we are doing this so that no one ever has to live in one of these contraptions ever again. 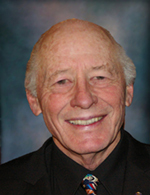 In Wagga tomorrow 10.00am for a Mayoral reception and ride down Baylis Street should be fun. Back in Wagga at the Market Place on Thursday then Coolamon and so on. Maggie The Iron Lung from the Griffith City Council Pioneer Park has started a journey of 1,600 kms around our Rotary D9700. Maggie left from Griffith Monday morning to all the cities, towns and villages in our District that have a Rotary presence. Due to logistics, we may have to miss a leg or two. However the route and dates have not changed. 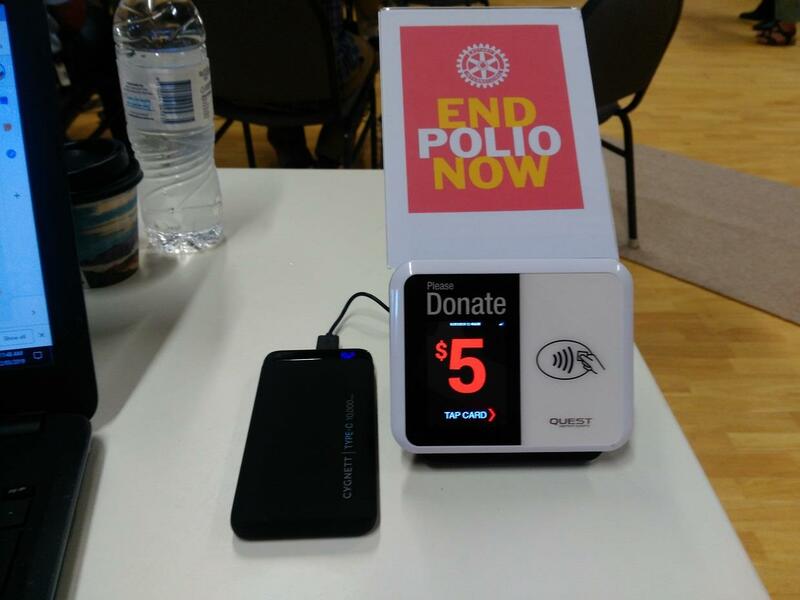 We have 4 tap and Go terminals working to collect money for the END POLIO NOW program. Maggie is in working order thanks to Ross Grillo from the Griffith Rotary Club. Ross has done a wonderful job with Maggie and I am sure that Maggie will open many eyes as we take her around the district. Our sincere thanks to Ross and the Griffith Rotary clubs for getting us this far on our journey culminating in the Griffith 2019 Conference from March 29-31st. I encourage all district Rotarians and friends to support our PARADE cyclists. Come and greet Maggie when she arrives at your community and support an excellent cause. 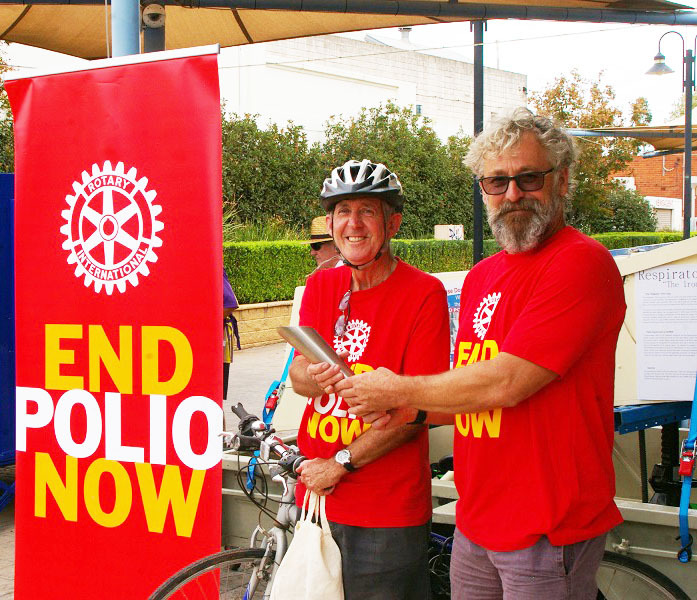 This is the home page of the PARADE Polio Awareness Ride Across the District Expedition. The ride will travel through all the Rotaty District 9700 towns and cities. 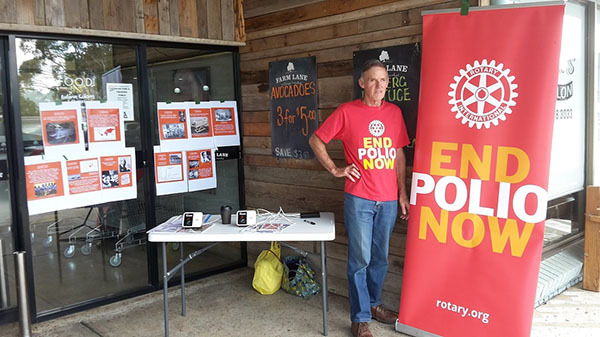 Rotarians from clubs on each leg are encouraged to collect donations in their local communities to support their club to go to the Polio Plus Fund and finally remove Polio from the planet. 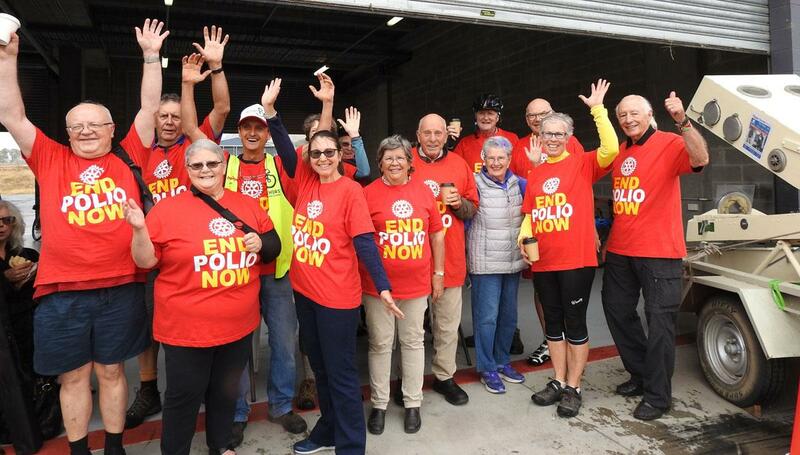 The District Parade Committee will organize for the Polio Plus Displays, Rotary Foundation displays and a wide variety of informative t for riders and public detailing just how very close we are to beating Polio. I contracted Poliomyelitis in 1952 as an 8yo in Kenya my home for 21 years. I was lucky to survive intact. The germ of the idea is basically to create awareness and raise funds in D9700 for PolioPlus and the fact that by 2019 it should be eradicated or close to it, will help. With 9 new cases of wild polio virus confirmed so far up to May 31st 2018. 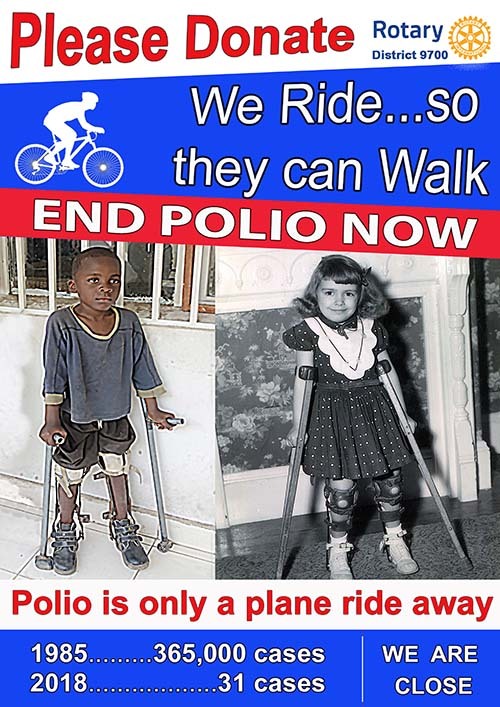 I have my doubts that the declaration of the end of polio will happen for a while yet. There still has to be 3 clear years before it can be declared extinct by WHO. "As of 1 April 2016, with the inclusion of all confirmed and pledged funding, the overall best-case funding gap for the 2013-2019 period is US$ 1.3 billion (Figure 6) against the US$ 7.0 billion budget. 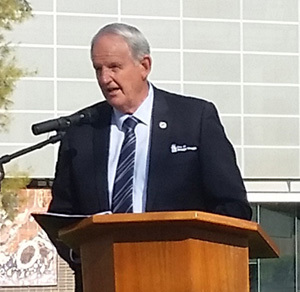 The pledged funding represents donor commitments for which no signed agreement or cash payments have been received. The confirmed funding constitutes funds that have been received and are available for programme use." 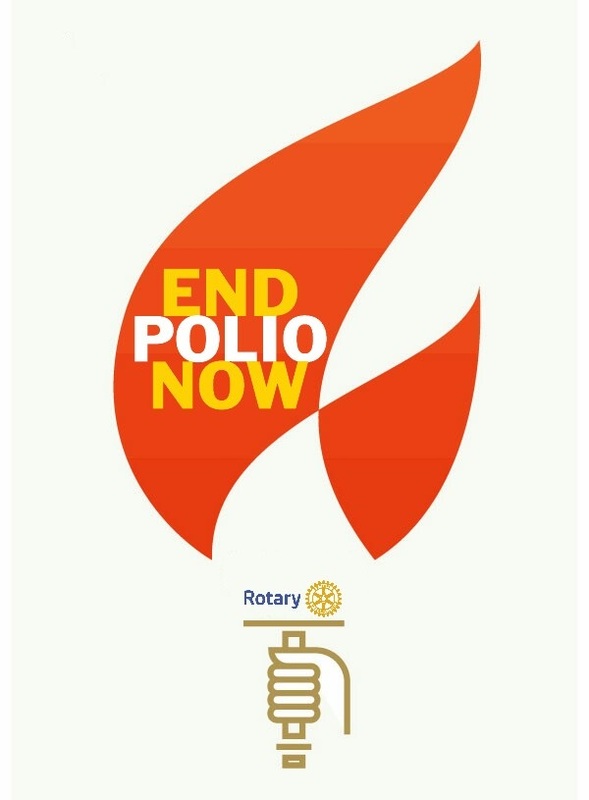 Atlanta June 2017: at the Rotary International Convention in Atlanta Rotary President John Germ and Bill Gates, co-chair of the Bill & Melinda Gates Foundation, announced a commitment of up to $450 million to support the eradication of polio. And with other who donors the total pledged is to contribute US$1.2 billion total to the GPEI for polio eradication efforts.